RIO DE JANEIRO. — Usain Bolt admits there are no guarantees he will be defending his Olympic sprint titles against a completely clean field in Rio. Track-and-field’s biggest star is aiming to complete a ‘triple triple’ of gold medals and goes into the Games as holder of the 100m, 200m and 4x100m relay titles. The build-up to Rio has been dominated by the Russian doping scandal, while Bolt’s rivals Justin Gatlin and LaShawn Merritt have both served drug bans. Appearing at a press conference in Brazil Bolt was asked whether he could be certain of drug-free sprint contest, and he said: “In life nothing is guaranteed. 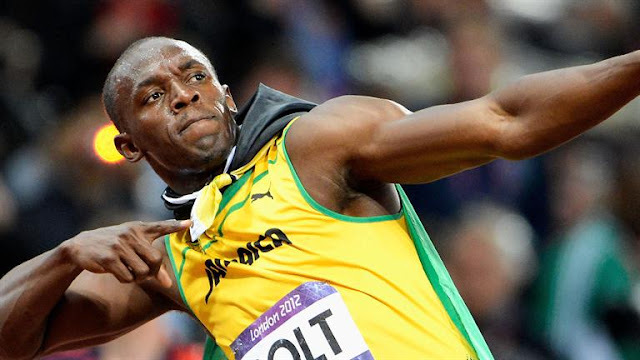 Bolt (29) again confirmed he is competing at his final Olympics. And shimmying amid a troupe of semi-naked samba dancers and wise-cracking with journalists, Bolt is determined to bow out of the Olympics with a flourish. The 29-year-old Jamaican sprint star took centre-stage on Monday at his first major press conference since arriving in Rio de Janeiro for his final Games. And from the moment he strutted onto the stage at Rio’s Cidade des Artes theater — instructing his audience to applaud — he was determined to entertain. “You’ve got to clap much louder than that, that was weak,” Bolt joked. — Sky Sports.